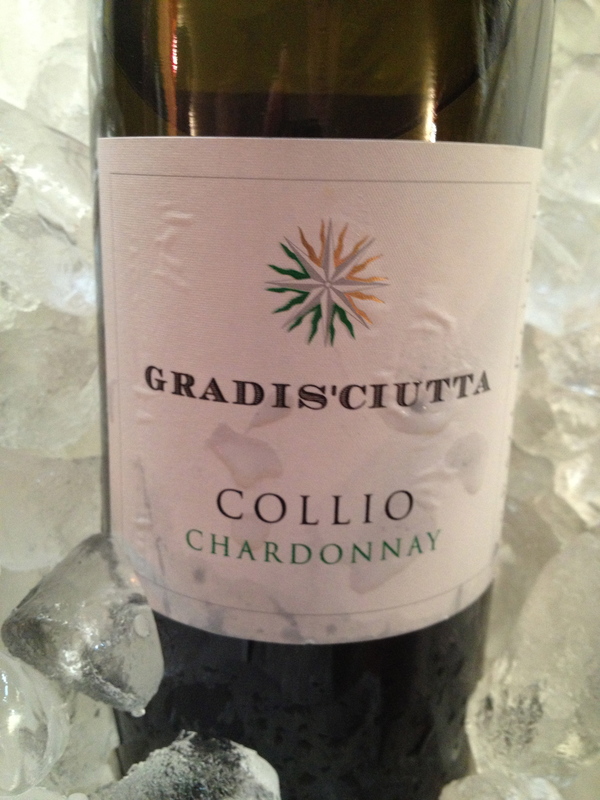 Gradis’ciutta was another of the wineries that I tasted at the Friuli tasting held at Felidia Restaurant for the Wine Media Guild on May I, 2013. 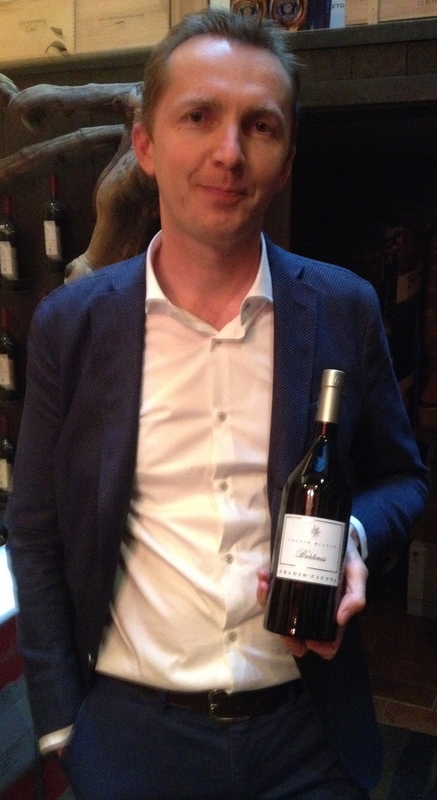 I have already written about the other two wineries, Bastianich and Scarbolo. 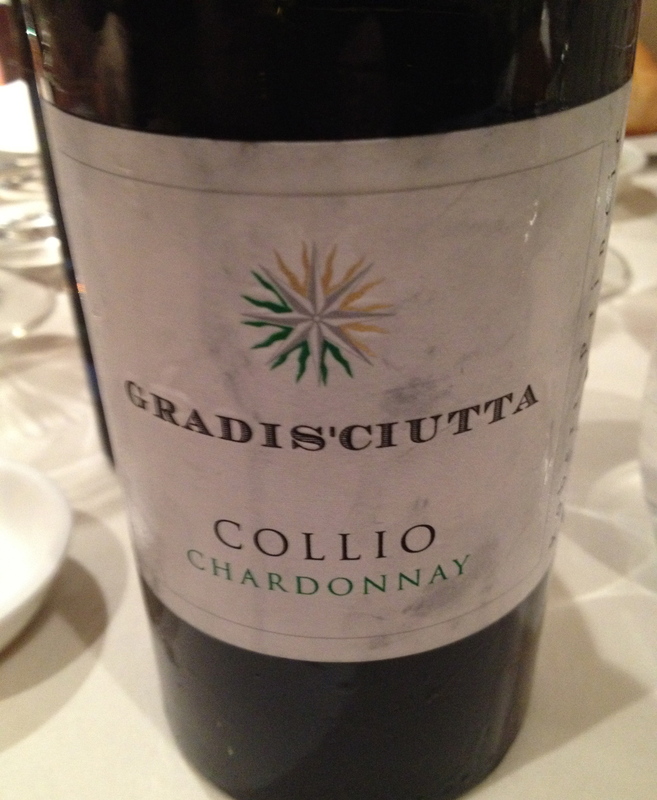 What impressed me about the white wines from Grandis’ciutta is their high quality and reasonable price, all at $18. 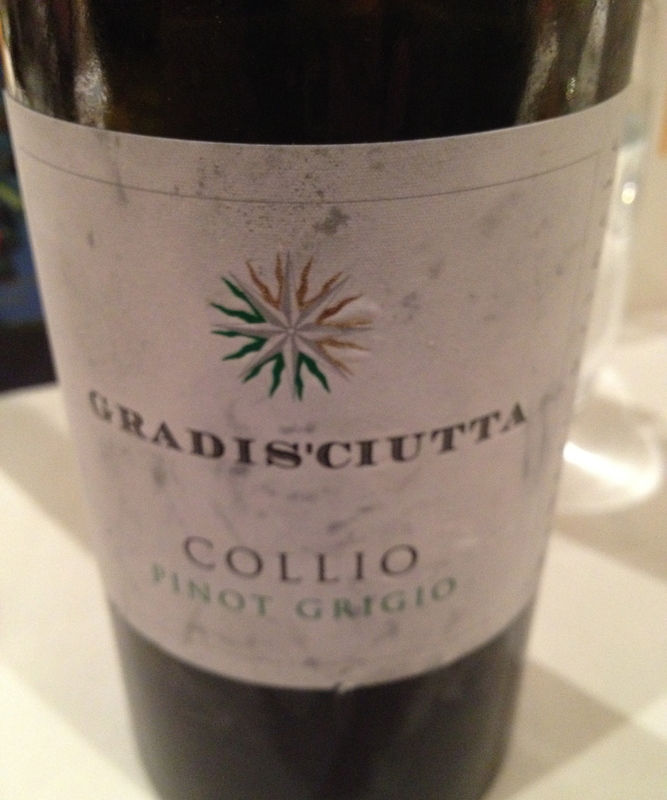 Collio Pinot Grigio 2012, 100% Pinot Grigio. 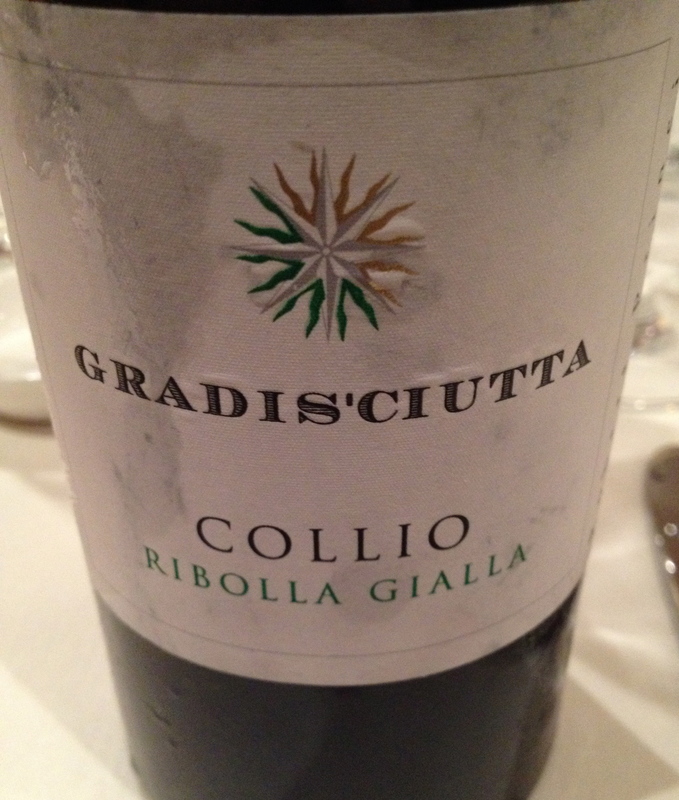 This grape variety was first called Ruläander when it came to the Gorizia area in the second half of the 1800’s. The color of the grape tends to be copper. The vineyard is at 325 to 475 feet and the training system is guyot. Soft pressing of the grapes and fermentation in temperature controlled stainless steel tanks, aging on the lees until the wine is bottled. 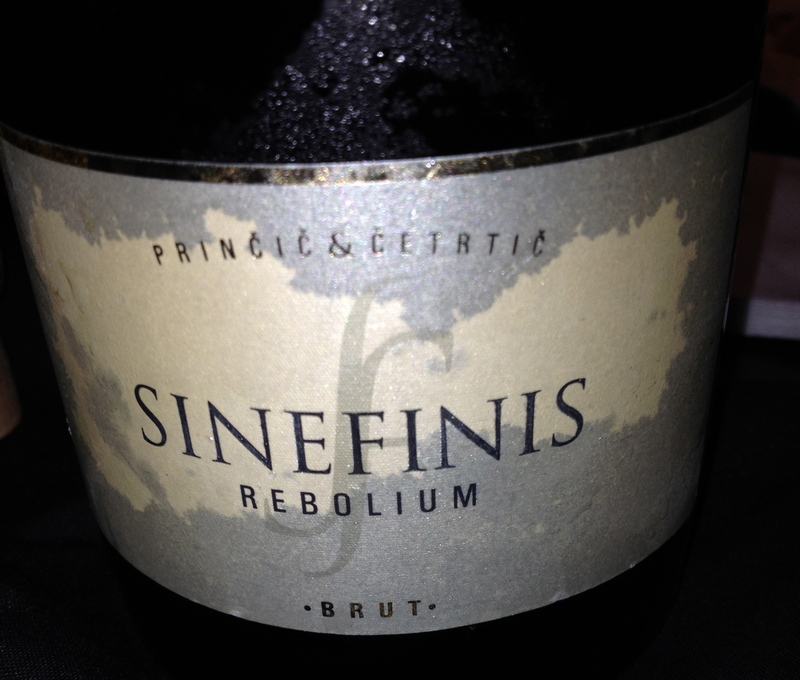 The wine had a slight copper color, with flavor hints of peach and ripe apple. There was also an aroma of tomato leaf. It is a very interesting wine. 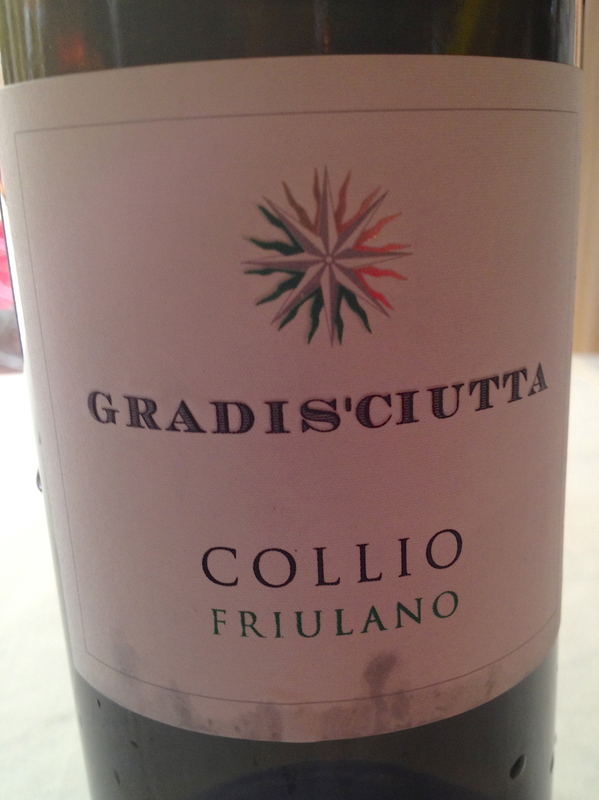 Friulano Collio DOC, 2011, 100% Tocai Friulano If you ask for white wine in Friuli this is what they will serve you. 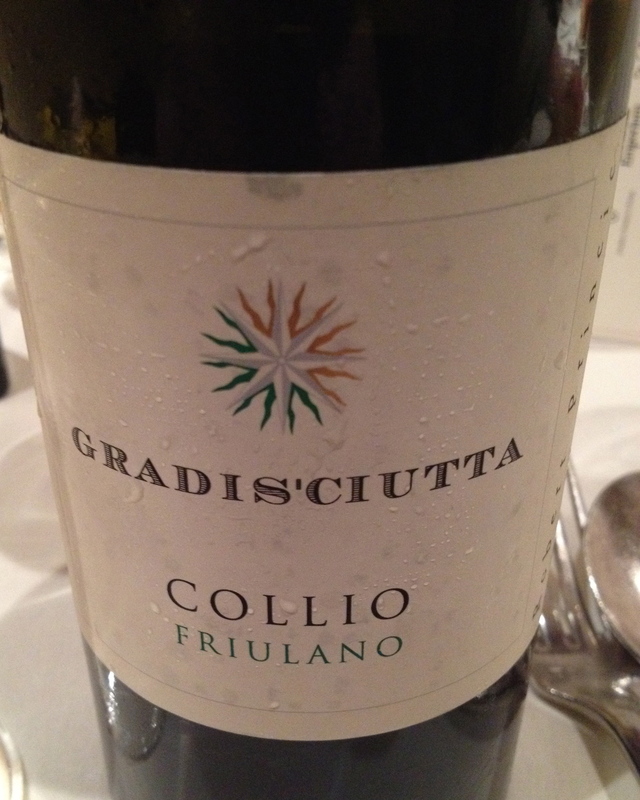 The name of the wine was changed from Tocai to Friulano because Hungary has a dessert wine called Tokay and they convinced the EU to make Friuli change the name of their wine from Tocai to Friulano in 2007. This was done to avoid confusion because the names sounded alike. This in my opinion was not necessary. Soft pressing of the grapes is followed by 24 to 48 hour fermentation at low temperatures in stainless steel tanks. The wine is aged on its lees until it is ready to be bottled. It has good fruit aromas and flavors with a hint of apple and a touch of almond in the finish and aftertaste. 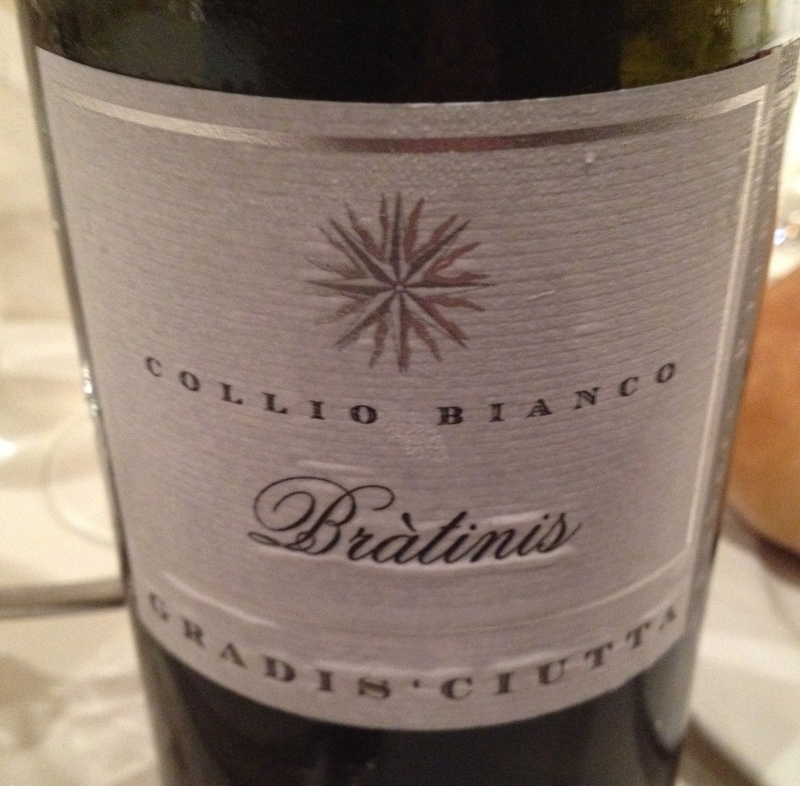 Collio Bianco “Bratinis”2010 made from Chardonnay, Ribolla Gialla and Sauvignon Blanc in various percentages. The soil is a mixture of breakable sandstone and clay marl called ponca. 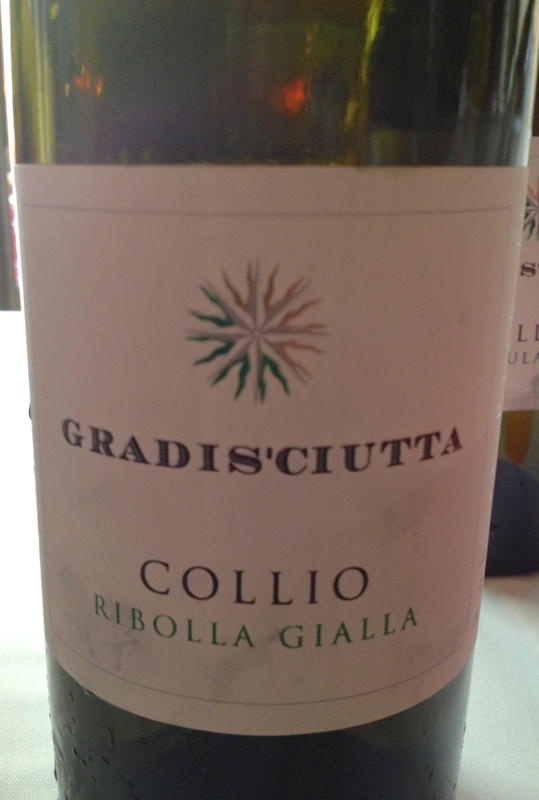 The name of the wine comes from the locality where the grapes are grown and harvested. The vines are between 500 and 600 feet and the training system is guyot. There is a soft pressing of the grapes and fermentation takes place in temperature controlled stainless steel tanks.The wine matures on the lees and is then bottled. At one time the wine was produced in such small amounts that it was only available for the family. 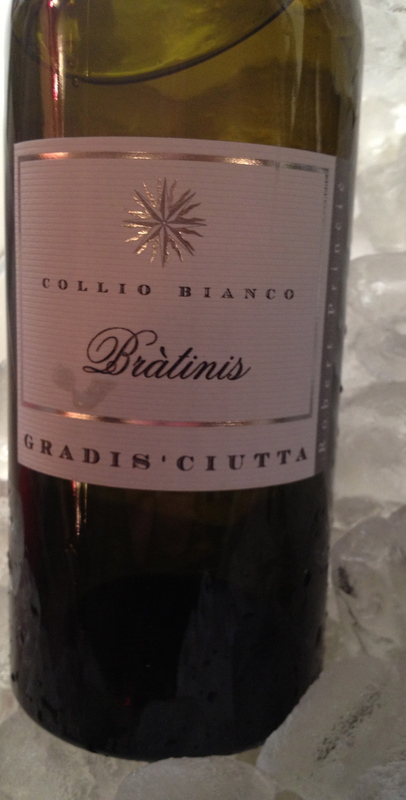 It is aromatic with hints of apple and peach and a touch if pineapple. It has a long finish and pleasing aftertaste.